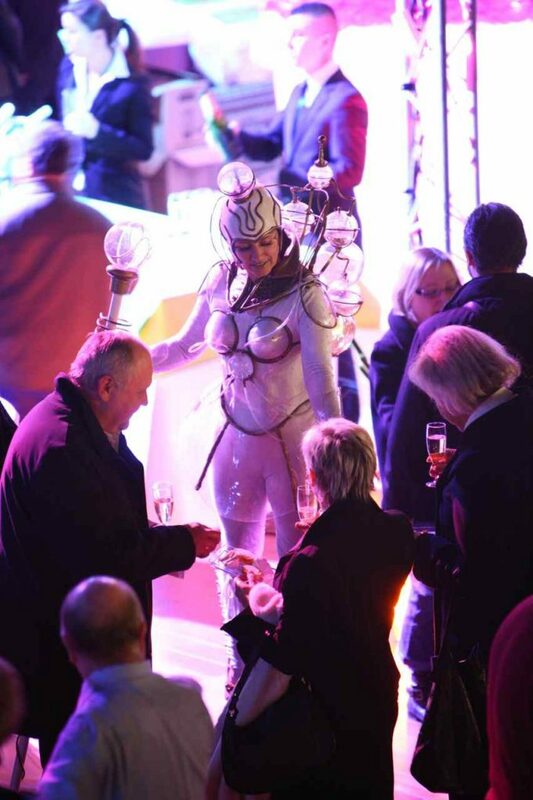 If you are looking for a unique way of serving up your champers then look no further than The Champagne Lady. 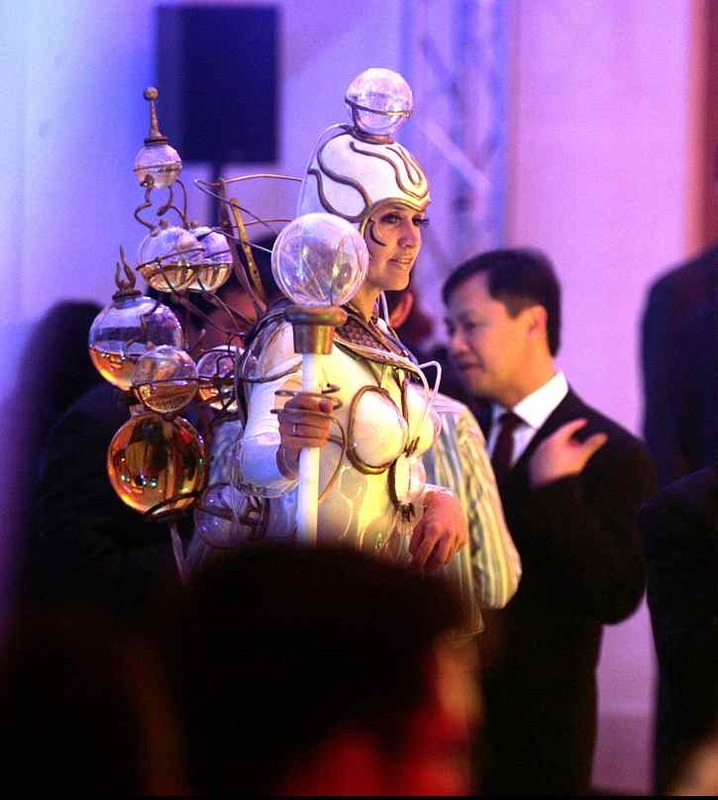 Hire The Champagne Lady and her partner if you want corporate entertainment with a difference. 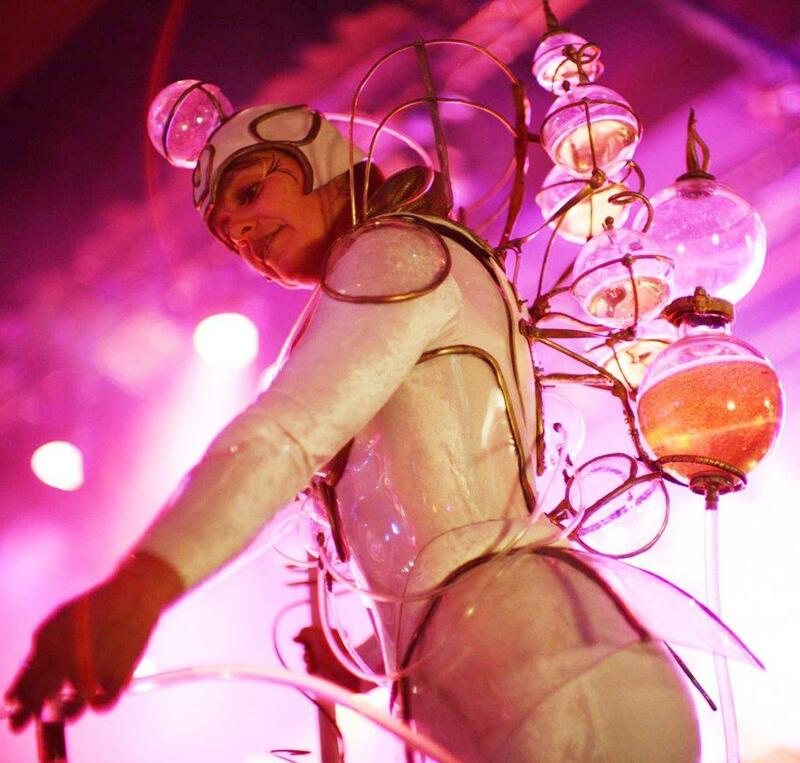 This futuristic character performs on stilts and wears a tank filled with champagne on her back. 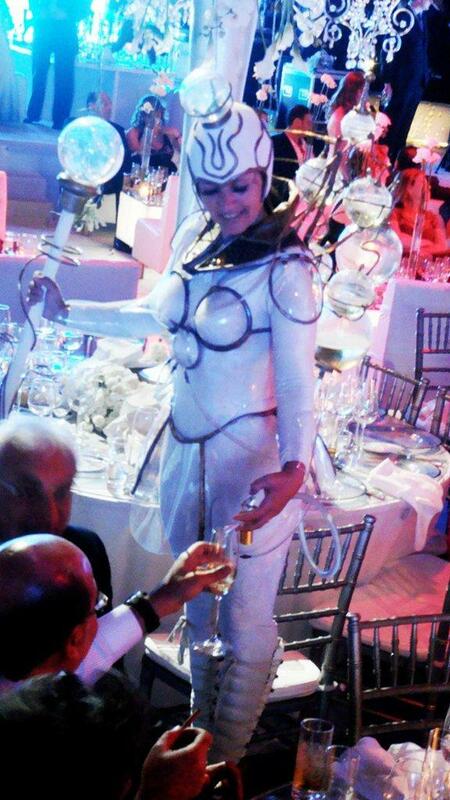 She distributes the Champagne to the guests through a tube with her roller skating partner next to her. The Champagne Lady and her partner will welcome your guests and will serve them champagne in an exciting and unique way. 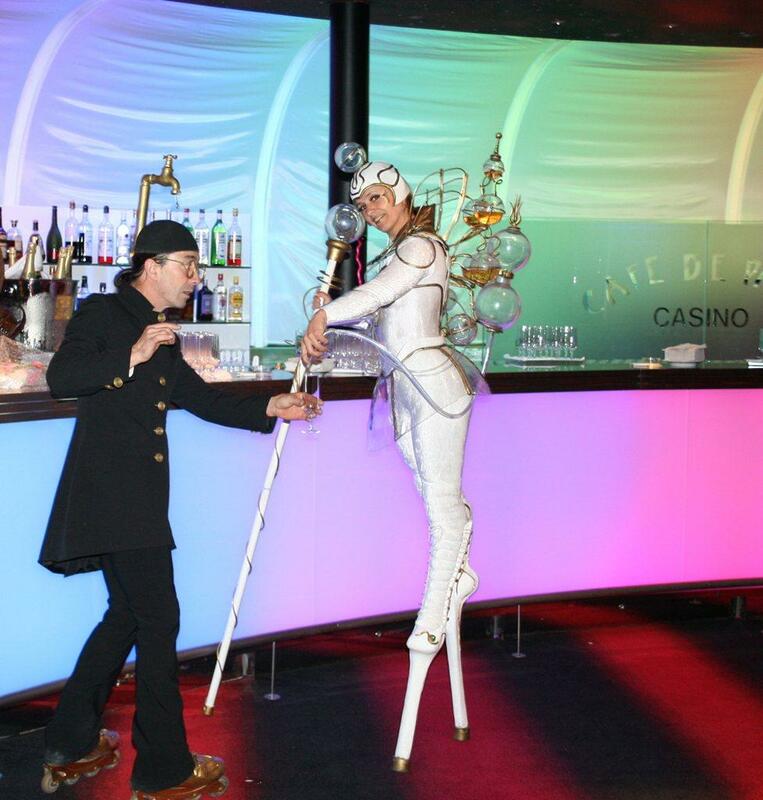 The Champagne Lady’s charming partner travels around the event with her on roller skates and entertains the guests. The Champagne Lady can perform 1 x 60 minute set or 2 x 45 minute sets.